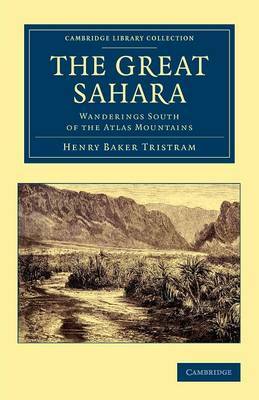 After sailing on a crowded steamer from Marseilles, Henry Baker Tristram (1822-1906) arrived in Algiers in the winter of 1856, and began preparations for an expedition into the Sahara. Although the northern areas had been well documented by the occupying French forces, the south was little travelled by Europeans. A keen naturalist and later a Fellow of the Linnaean Society, Tristram made meticulous preparations for collecting specimens, and kept a thorough journal as he travelled. This book, one of the first English reports of the South Sahara, published in 1860, is an almost exact transcription of that journal. Travelling with a tin of chocolate and a collection of fine silk handkerchiefs to trade, Tristram made notes on a host of topics, from the flight of flamingos to the government and customs of the native Touareg. His account is still a valuable resource for students of the history of science.